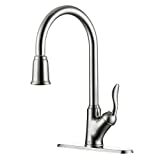 How should you choose a kitchen faucet? If you're renovating your home, even small details are a reflection on your taste. Refurbishing the interiors does not stop at furniture and curtains, but includes your kitchen area as well. One thing in your kitchen that sees perhaps the most amount of wear and tear is the kitchen faucet. 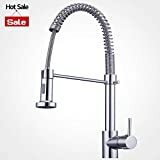 If your kitchen sink faucet looks too worn-out and you want to replace it or if you are remodeling your kitchen and want something more attractive, it is important that you pay some careful attention before getting the best kitchen faucet. 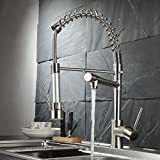 After going through thousands of kitchen faucet reviews, we have put together an impressive guide to help you purchase the best kitchen faucet. 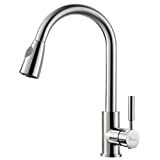 There are many types of kitchen faucets available in the market. It is very easy for you to get confused about which one to buy. So, we have put down a few factors for you to consider before you purchase. 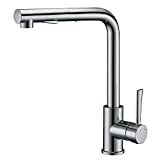 Check the mounting styles: There are kitchen faucets that are not compatible with the sink design, so keep this in mind if you are remodeling your kitchen or decorating a new one. There are two main styles for mounting a faucet. 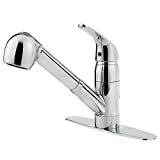 There are deck-mounted faucets and wall-mounted faucets. To use a deck-mounted faucet, you need to ensure you have the appropriate number of holes in the sink for this fixture. If you aren’t just replacing an old faucet, it is always advisable to buy the faucet first, and then install the appropriate sink. 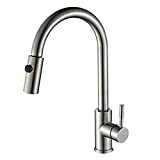 Check the handle options: The single-handed faucets are the most commonly used. This is because of the convenience that they offer: you can operate the faucet with one hand, even if your other hand is occupied. 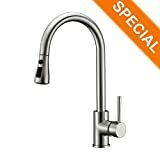 This faucet has a single lever, often as a part of the spout that can alternate and mix cold and hot water. Such a style is capable of accommodating large vessels and pots in the sink. You can adjust the temperature, and the water flows smoothly. 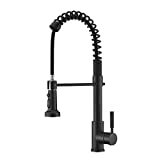 Consider the usage of sink: Select a kitchen faucet considering how you use your sink. 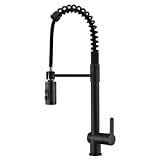 A high-arc faucet will make your tasks comfortable if you use your sink for more than washing dishes and vegetables. The best can be a bar prep faucet, which allows you to keep vegetables and meat on the side pan. 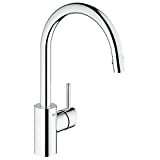 Also, if you tend to wash a lot of bulky pans or pots, you will need a faucet with a high-arc. 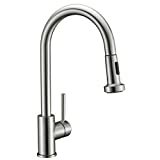 Check the features: Buy a faucet that has a built-in filter, which assists in maintaining the faucet. Also, a soap dispenser is a useful add-on. Look for the correct finish: Your kitchen faucet is going to be rather evident in your kitchen, so make sure to match it with the overall kitchen finish. You will find chrome, bronze, and nickel finishes rather easily.